Have you ever looked back at photos and could hardly believe what moments you captured? 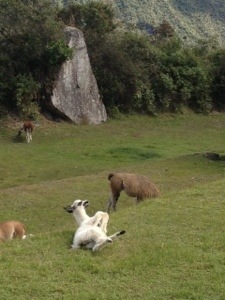 I have been looking at my pictures from my trip to Machu Picchu last month. I really can’t believe I was there and with my best friend!! I’m grateful and lucky that I went to such a wondrous place. 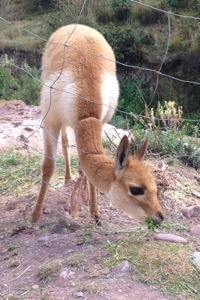 The vicuña looks sweet in the next picture but that thing charged at me behind the fence. 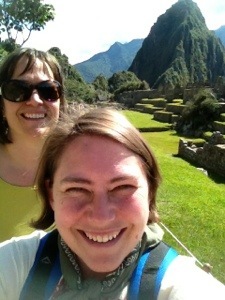 Kecia and I proving that we were actually at Machu Picchu! What is awesome is that they stamped our Passports when we were there! 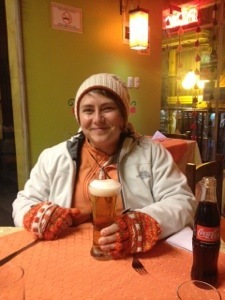 Such a unforgettable trip with a special friend…Thank you Kecia!! Kecia, What do you have listed as #2 on your bucket list? I’m game! 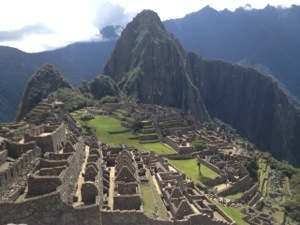 This entry was posted in Personal dialogue for a happy life and tagged bucket list, cusco, Machu Picchu, travel on July 19, 2013 by amybailey aka knitsakes. dude, forget MY bucketlist…what’s next on YOURS?????!!!! !